202 refers to the wiring diagram of the phone. The main body holding the dial is called the mount and this is a "D" mount. 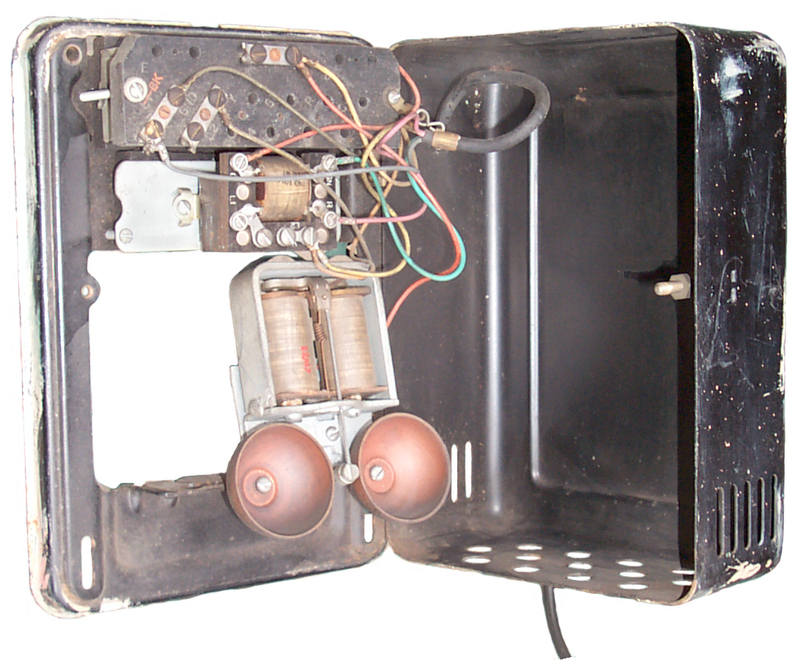 The Western Electric 634BA Sub set is a metal box that holds a wooden terminal block (GND, L2-Y and B) to connect to the phone line, a 101A induction coil, dual capacitor and the B1AL bell with a 41A and 41B gong. Inside the cover of the sub set it looks like 554C in paint. The D1 (U.S.A.) phone proper has the F1 handset that uses the F1 Carbon mike element and HA-1 speaker element, 5H dial and cradle type hook switch. 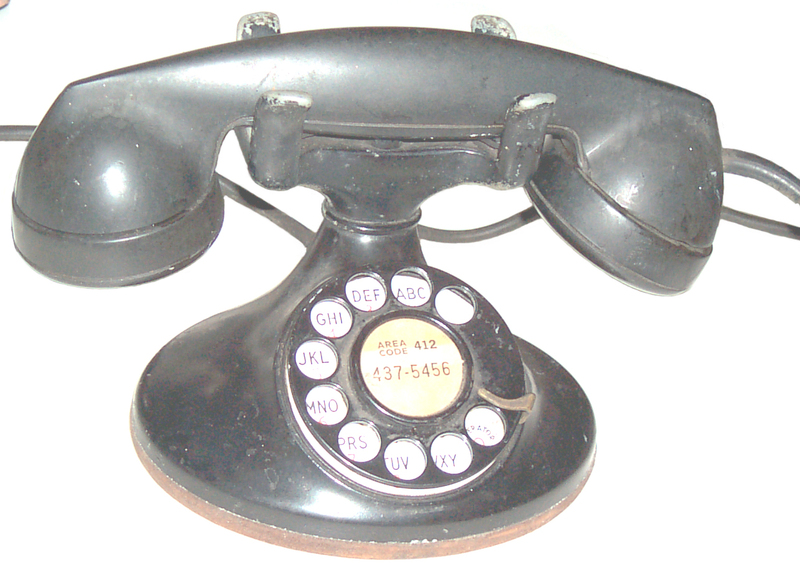 In later phones like the 302 and 500 all the parts were in the phone proper and no separate sub set was needed. Black, Red, Green and Yellow wires go between the sub set and the phone. Red, Black and White wires go between the handset and the phone. The Red and Green wires from a modular plug go to L1 and L2 on the coil to make the phone able to answer and dial out. 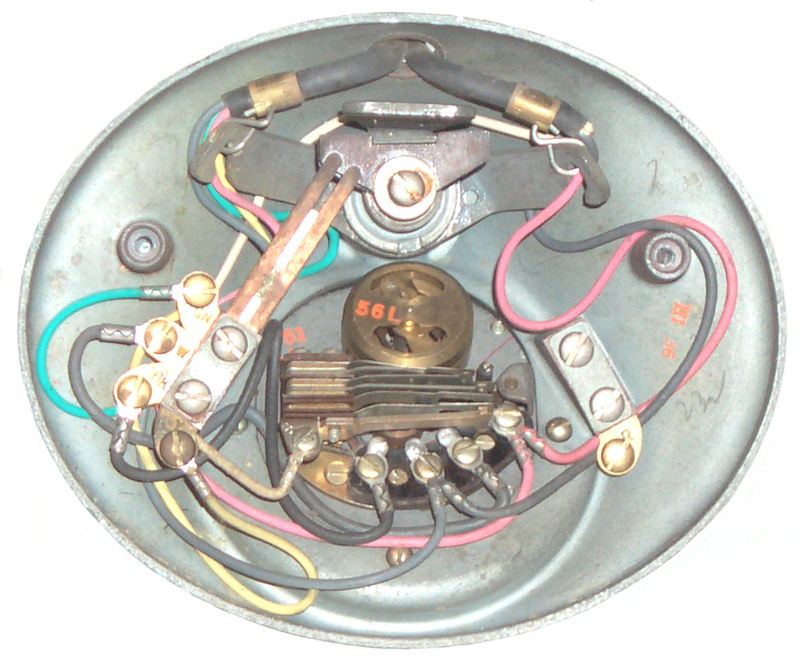 To get the ringer to work you need to connect the Bell and .5 MF capacitor in series and across the L1 and L2 terminals on the coil (same as across the incoming Line). Practical Wiring Diagram - omits details of components and concentrates on what goes where, wires shown in color. There was noise in when the dial tone stops after dialing a digit. Caused by a noisy transmitter capsule. The Transmitter capsule of the 302 phone and this 202 phone are the same. But the 500 phone uses a smaller transmitter. Current through the transmitter capsule is 35 ma. 15 Feb 2013 - send 5H dial to Steve Hilsz (Dial repair, Phone Surplus) for rebuild since the KX-TA824 would not recognize the digits (probably too slow). He also has a replacement B1AL ringer and an E-1 handset with the spit cup. [an error occurred while processing this directive] Page created 2 Nov. 2003.